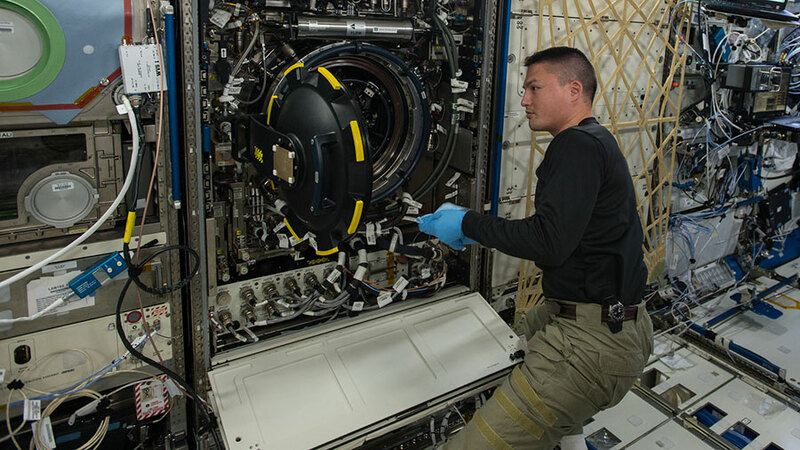 The six Expedition 44 crew members worked on a wide variety space research Thursday. They will welcome three extra crew members early Friday morning temporarily increasing the International Space Station’s population to nine residents. 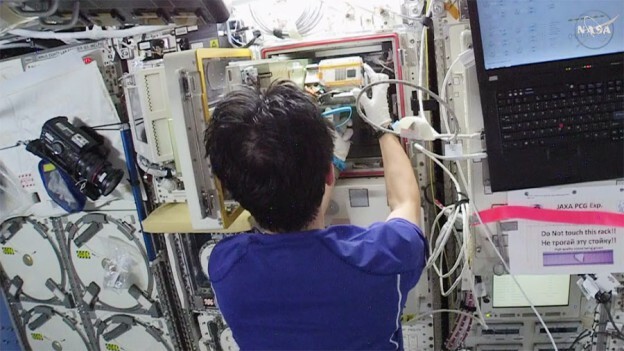 The International Space Station’s newest astronauts, Kimiya Yui and Kjell Lindgren, worked on life science. Yui installed a new Mouse Habitat Unit in the Kibo laboratory. The mice will be delivered on a future cargo mission. Lindgren took body measurements before exploring the physics of a cup for drinking in space. A veteran cosmonaut and two first time crew mates are on their way to the space station to swap spaceships. Soyuz Commander Sergey Volkov will dock the Soyuz TMA-18M spacecraft to the Poisk module Friday at 3:42 a.m. EDT. Volkov will stay in space until March. His fellow crew members Andreas Mogensen from Denmark and Aidyn Aimbetov from Kazakhstan will return to Earth Sept. 11 with station Commander Gennady Padalka inside the Soyuz TMA-16M spacecraft. Exelente Pagina, quiero preguntar cual es el objetivo de hacer estudios con Ratones en el Espacio? y Cual es el Comportamiento Oseo de los Astronautas despues de mucho tiempo fuera de la Gravedad terrestre, si sufren descalcificacion?